Entertainment is a huge part of our lives. Without entertainment life would not be the same and definitely would be extremely dull and boring. A good entertainment website can reach great heights if it is welcoming, fun and relaxing to use. A good entertainment website should be easy to navigate and should have an attractive look and feel. 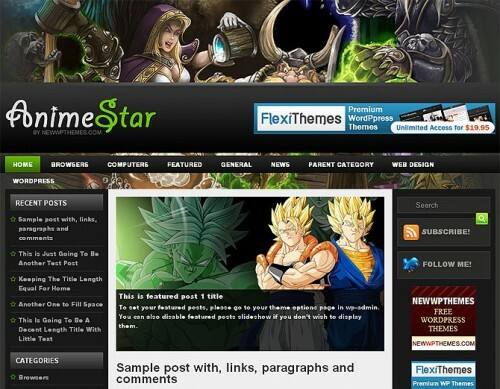 In this article we will show top 10 high quality free WordPress entertainment themes. These themes comes very special overviews like unlimited color combinations, background and pattern options, unlimited page templates (with page builders) events and video gallery templates and more much. And these top wordpress themes contains, themes for music, video, sports related blog or websites. All these themes are very good looking and nice and will make your webpage to give a very creative look. I hope you like our new entertainment WordPress free themes collection. All themes listed below, please share your favorite theme with comments. If you like our art collection, so check out these other posts will interest you too: Agriculture WordPress Themes and Templates, Free Multi Author WordPress Widgets, Customer Service WordPress Plugins and Premium Mosaic WordPress Themes. Sweet green and white color combination makes this Free WP Theme astonishing and attractive. Perfect for any kind of niche (mobile phones cars, autos, technology, entertainment, fashion, name anything). BestFilms WordPress theme is a perfect foundation for cinema website. Easy to use administrative panel, custom widgets, an eye catching related posts and lots of other powerful features provide a great base to build on. MusicSpace is beautiful free WordPress theme for personal web pages. This is a complex wordpress themes with lots of useful features like custom widgets, feedback form, slider, video supporting and many other. Microphone is an amazing free WordPress theme, great solution for blog about music. The theme comes with two sidebars, vertical menu, slider, custom widgets and lot of other powerful features provide a great base to build on. KinoHit WordPress theme is a perfect foundation for cinema website. Easy to use administrative panel, custom widgets, an eye catching related posts and lots of other powerful features provide a great base to build on. 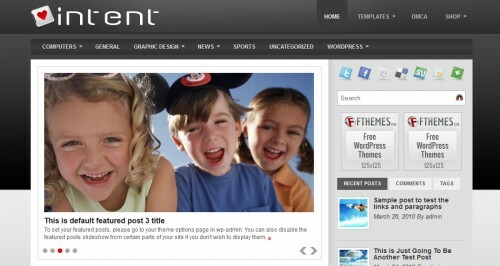 Intent is an elegant free WordPress business theme. Theme options at admin panel. Supports the post thumbnails and custom menus. Suitable for any niche especially for business or portfolio web sites.